This article could never have been written without the insights and guidance provided by research scientist and engineer Ed Keith. 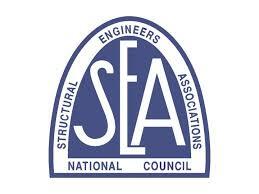 He has spent over 44 years of researching seismic design and the use of shear walls to protect homes as a leading scientist with the American Plywood Association, the largest shear wall testing laboratory in the world. He recently retired and I am forever in his debt for all he taught me. This is an advanced retrofit and unorthodox retrofit procedure. It is advised that you not only read the material, but also spend some time studying the images and the linked-to webpages. A garage soft story condition is caused when a floor is supported by narrow walls or posts at a garage door opening. If you imagine the floor above a two-car garage, weighing approximately 15,000 pounds, rocking back and forth on top of these posts or narrow walls, it is easy to see how it can collapse. They simply tip over. 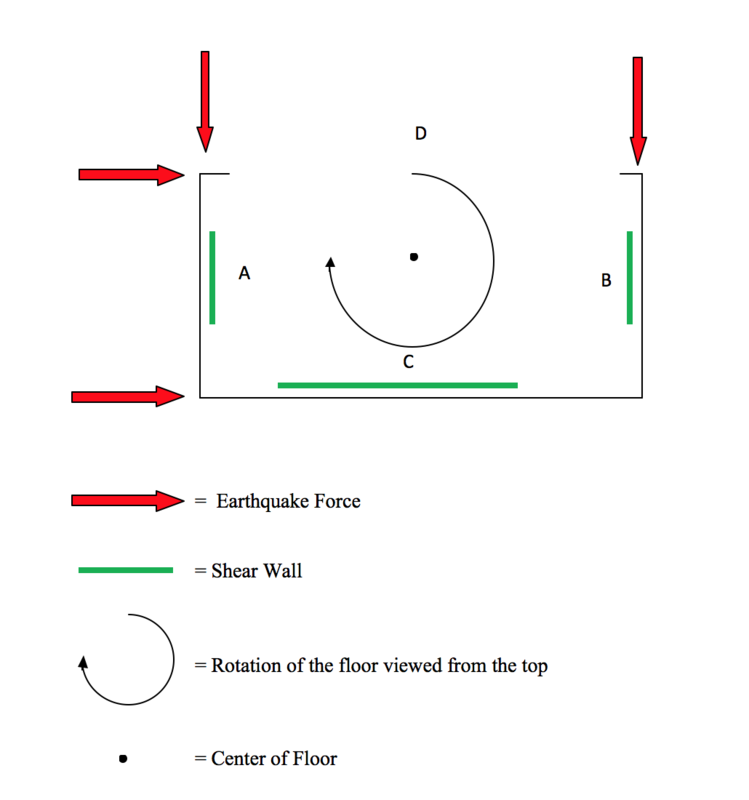 This can be addressed by using a moment column or moment frame, or through the use of shear walls and the principles of rotation as described below. If you install a shear wall on the back of the garage, and if the floor above the garage is more or less either a square or a rectangle , you can protect the building by putting shear walls on the back and two sides of the garage, without doing anything to the garage door opening itself. Using shear walls to protect a building like this is known as using the principle of rotation. The dark line on the perimeter represents the foundation, which is missing on wall line “D”. At the same time it shows where the outside edges of the floor above the garage are. The red lines represent earthquake forces, which will attack the garage from all sides. The red arrow in the upper left is pushing down against a side wall of the garage. This movement is resisted by Shear Wall A. Another arrow in the upper right is pushing down against the opposite side wall of the garage. This movement is resisted by Shear Wall B. A third arrow in the lower left is pushing against the back wall of the garage on wall line “C”. This movement is resisted by Shear Wall C.
The fourth arrow to the left of the garage door opening is pushing on the garage door opening but there is no shear wall or foundation here. What happens? This is where rotation can be seen. 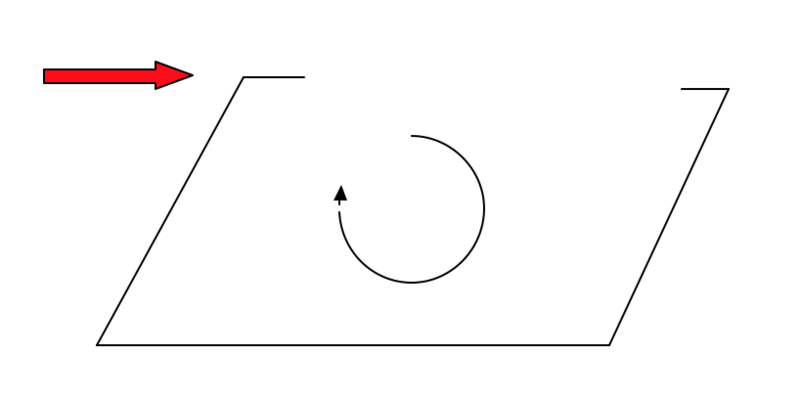 The entire floor tries to twist or rotate as shown by the rotating circular black arrow, pushing down on the wall B and up on wall A as it rotates . 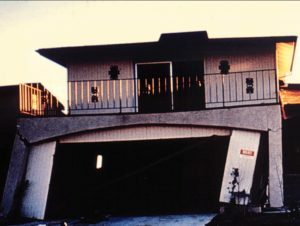 This rotation transfers all of the force that would have caused the garage door opening to collapse into to the back wall as well as the side walls of the garage.